Everything on our website is done through SSL (Secure Sockets Layer). This means that everything sent between you and the website is encrypted. SSL is a proven security standard that is used worldwide. Alongside SSL, we encrypt everything you upload and/or input to us. This ranges for everything we store in our database to all the files you and your client upload to our file sharing system. We want to make sure that your documents stay as your documents and that they are protected. View our FAQs for more information. When you use Client Track Protal, you can be rest assured that everything you upload and/or input to our service is encrypted. We use AES-256 to encrypt everything you upload to our servers which means that only your will be able to unlock and view your own files. All of your data is stored inside of Canada. From the beginning, we made it a priority to make sure that none of the data you give us ever leaves Canadian servers. What do you do with sensitive information? Currently we do not sync any sensitive information, this means that any Social Insurance Numbers (SIN) that you save will never be uploaded to our system ensuring that in case of a breach nobody will ever have access to them because they were never put in the cloud to begin with. How is the sync secure? 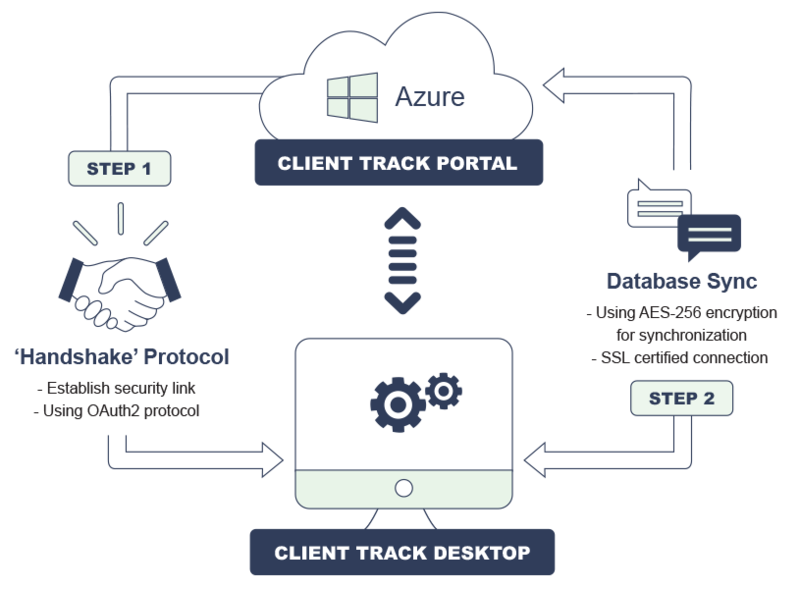 Using an OAuth2 protocol, we run our syncing program that now comes with Client Track Desktop. 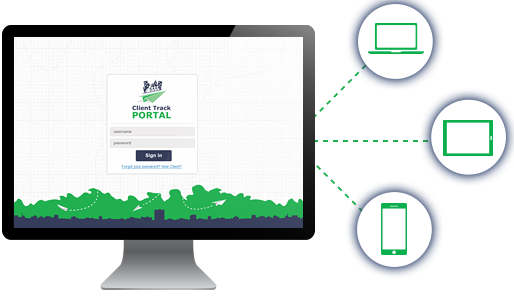 This program removes any data that is not used by the Client Track Portal and ensures that it and the Client Track Portal have a secure connection with each other. Once a secure connection has been established it passes an encrypted document which contains only critical information that is needed for the Client Track Portal. Due to the nature of how the application works no matter what happens to our servers you will always have a backup on your local machine. With that being said we do also have a backup that is located in Canada to make sure we never lose anything. We are using Microsoft Azure as our hosting platform in order to ensure the best possible security levels.